Award winning Big beautiful painted wooden ark. Sliding front panel gives hull access, hinged side door reveals access ramp. 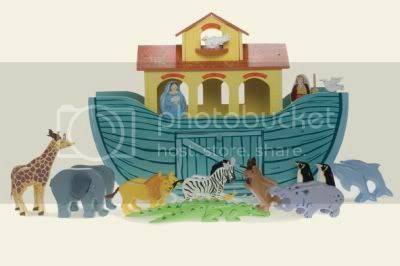 Includes Noah & his wife figures.